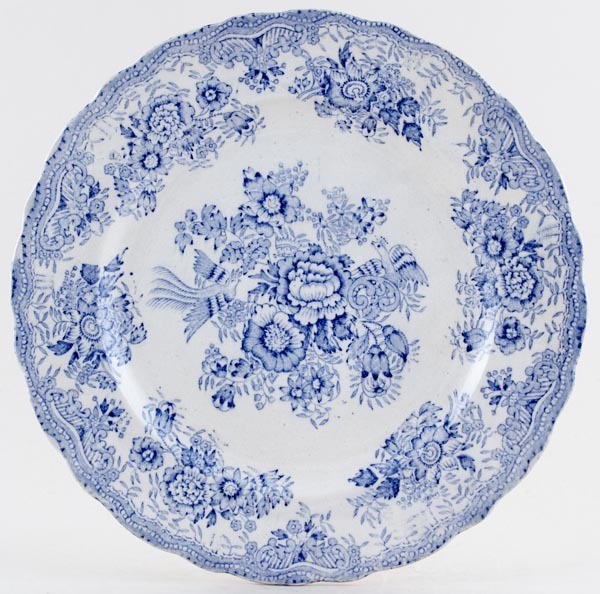 Wavy rim plate in a slightly darker blue than usual for this pattern. No backstamp. Crazed with a hint of discolouration, but this is mainly on the back and wear to the outer rim which has resulted in a little loss of glaze. Inspite of all a very pretty plate.